Thank you for your interest in syndicating the content published by The Diplomat. Please find information on this page about our various syndication options. The Diplomat’s syndication agent is Tribune Content Agency. Please contact Tribune Content Agency using this form to discuss the possibility of using content published by The Diplomat. Please note that The Diplomat occasionally reprints, with permission, articles originally published elsewhere. The Diplomat does not hold the copyright to these articles and is not able to syndicate them. Reprints will be acknowledged clearly with a credit at the bottom of the article. Academic institutions are free to reproduce content published by The Diplomat for use in courses without charge, provided The Diplomat is properly credited as the original source. You do not require our permission to do this. For other uses, you may reproduce an extract of up 200 words, with a link back to the full article on our website, thediplomat.com. Again, you do not require our permission to do this. If you wish to reproduce an article in full, or use an article in a textbook or examination paper, please contact our syndication agent Tribune Content Agency. Websites, blogs and other publications are free to reproduce extracts of up to 200 words of articles published by The Diplomat, with a link back to the full article on our website, thediplomat.com. You do not require our permission to do this. If you wish to use more than 200 words, please contact our syndication agent Tribune Content Agency. Please note that reproducing more than 200 words of any article published by The Diplomat is a breach of our copyright and will result in legal action. 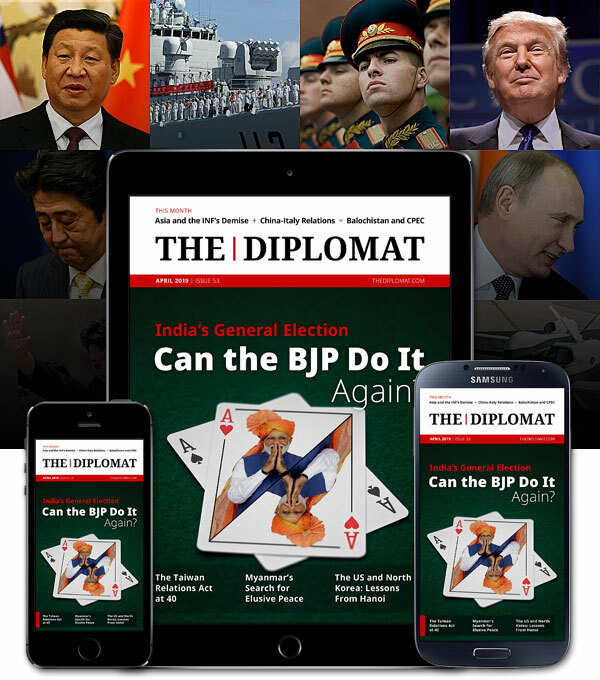 The Diplomat does not hold the copyright for any of the images or other graphics used on its website or in its digital magazine, and as such is unable to make them available for syndication. If you are interested in reusing an image or graphic you have found on The Diplomat, please contact the copyright owner directly, referring to the source credited by The Diplomat. You are welcome to embed the YouTube link to a video on your site. You do not require our permission to do this. If you would like to use a video produced by The Diplomat in a film, video or TV production, please contact our syndication agent Tribune Content Agency. Please note that you will require our permission to edit videos.